Murni’s Mee Raja Special in Tom Yam Flavour. The name is derived from the Chinese ‘emperor noodles’ used. If you patronise Murni’s at night, you probably have not seen this dish in all its glory. The roadside dining area can be really dark, especially when the street lights fail. This was photographed at night at Murni Discovery Aman Suria with Litepanels lights. Olympus OM-D, ISO 500, f3.5, 1/60 sec. 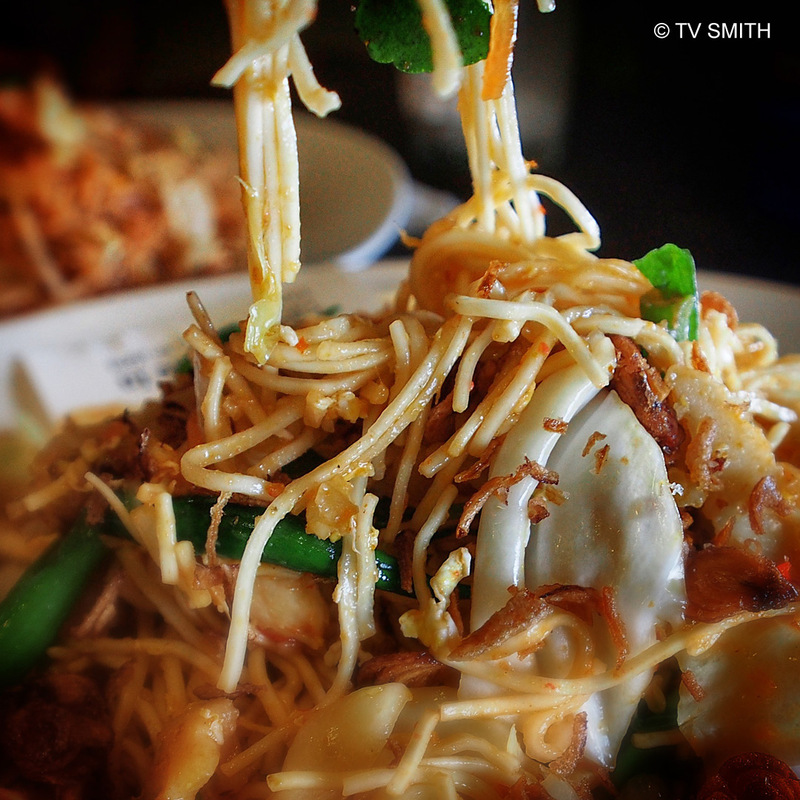 This entry was posted in Food, Instagram, News & Commentary, Olympus OM-D, Photography and tagged eating out, em-5, food photography, local food, mee, mee raja, murni, noodles, olympus, om-d, ss2 by TV Smith. Bookmark the permalink.